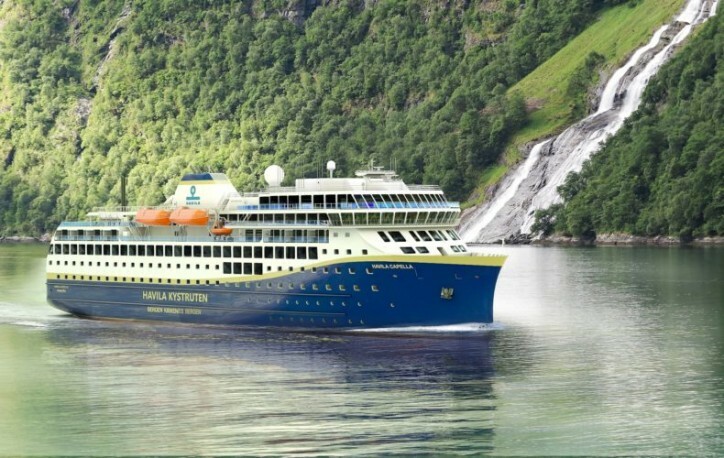 Corvus Energy has signed a contract with Norwegian Electric Systems (NES) for the marine world’s largest battery package for hybrid powered vessel to be installed on board Havila Kystruten’s coastal vessels. “This is a big step for the cruising industry and we are extremely proud to receive this order. It demonstrates that we drive technology further by pushing boundaries for the use of batteries. The Energy Storage System (ESS) is the world’s largest package ever delivered to a ship and will enable the vessels to enter fjords and ECAs on zero emission mode five years before the deadline,” says Geir Bjørkeli, CEO of Corvus Energy. Corvus Energy will deliver an air-cooled ESS with Corvus’ patented single-cell thermal isolation, which exceeds class requirements, to ensure the highest level of safety. Featuring a length of 125 meters and a width of 20 meters, the ships will be able to accommodate 700 passengers. The vessels will have a hybrid gas-electric propulsion system with battery, where four gas-powered engines in each vessel run the generators. The system is also adapted to the next generation of technology, using hydrogen fuel cells. The equipment from Corvus Energy is scheduled for delivery in 2020 and the coastal route vessels will be in service from 2021. As the leading manufacturer of energy storage systems for maritime applications, Corvus Energy provides battery power to more hybrid and all-electric ferries than all other providers of energy storage systems combined. Corvus offers the innovative Orca ESS solutions portfolio and has unsurpassed experience from 190+ projects, totaling over 200 MWh and more than 2 million operating hours.